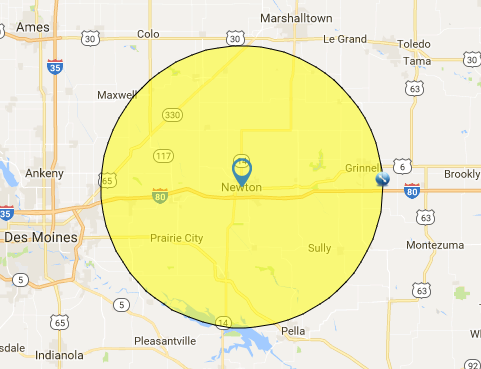 Services – Newton Amateur Radio Association Inc. The Mid-Iowa Skywarn Association (MISA) is an organization comprised of volunteers from the general public who are passionate about spotting hazardous weather to provide the National Weather Service and other agencies detailed "ground truth" information that, in turn, benefits communities with critical, accurate, and timely weather warning information. RACES stands for "Radio Amateur Civil Emergency Service," a protocol created by the Federal Emergency Management Agency (FEMA) and the Federal Communications Commission (FCC Part 97, Section 407). Many government agencies across the country train their Auxiliary Communications Service (ACS) volunteers using the RACES protocol. The volunteers serve their respective jurisdictions pursuant to guidelines and mandates established by local emergency management officials. The Technician class license is the entry-level license of choice for most new ham radio operators. To earn the Technician license requires passing one examination totaling 35 questions on radio theory, regulations and operating practices. The license gives access to all Amateur Radio frequencies above 30 megahertz, allowing these licensees the ability to communicate locally and most often within North America. It also allows for some limited privileges on the HF (also called "short wave") bands used for international communications. The General class license grants some operating privileges on all Amateur Radio bands and all operating modes. This license opens the door to world-wide communications. Earning the General class license requires passing a 35 question examination. General class licensees must also have passed the Technician written examination. The Amateur Extra class license conveys all available U.S. Amateur Radio operating privileges on all bands and all modes. Earning the license is more difficult; it requires passing a thorough 50 question examination. Extra class licensees must also have passed all previous license class written examinations.